Duke Energy has proposed a microgrid to serve the western North Carolina town of Hot Springs as part of a larger plan that includes a $500 million investment in energy storage over 15 years. The solar-storage microgrid will bolster electric reliability for the mountainous town served only by a 10-mile, 22.86-kV feeder line, said Zachary Kuznar, Duke Energy’s director, CHP, microgrid and energy storage development. The utility this week applied to the North Carolina Utilities Commission (NCUC) for the microgrid’s Certificate of Public Convenience and Necessity. The Hot Springs microgrid is part of Duke Energy’s Western Carolinas Modernization Project, which includes shutting down a 50-year-old coal-fired power plant in Asheville, North Carolina next year. The microgrid and other distributed energy projects will help Duke defer construction of natural gas-fired generation to replace the coal-fired plant, according to the certificate filing. The utility did not release the cost of the microgrid but said that the alternative — repairing the 10-mile feeder in the rugged Great Smoky Mountains — would require expensive equipment upgrades. The feeder already incurs “long-duration outage events,” Duke said in the filing. Lack of right-of-way options also led Duke to pursue the microgrid instead of the more conventional solution of adding a redundant feeder line. So-called “grid hardening” — enhancing the resiliency and reliability of the power grid — is Duke’s primary motivation for building the Hot Springs project, Kuznar explained. Operating with 2 MW of solar and 4 MW/4 MWh of lithium-ion batteries, the microgrid will be able to island — disconnect from the main utility grid — during power outages and make use of energy stored in its battery system to meet 90 percent of Hot Springs’ peak load for four to six hours. “That should give our crews time to get out there and make repairs, ideally before Hot Springs residents even know that an outage occurred,” Kuznar said. 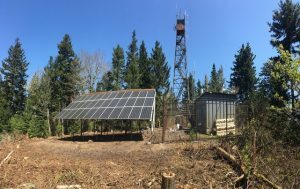 Duke operates an off-grid, solar-storage microgrid that powers a telecommunications tower on Mount Sterling in the Smoky Mountains National Park. Running for more than a year, the microgrid features a 95-kWh, zinc-air battery energy storage system and 10-kW of solar. But future microgrids are more likely to be grid-connected — like Hot Springs. 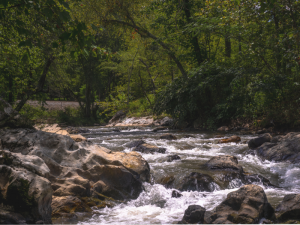 The Hot Springs project is part of Duke’s most recent Integrated Resource Plan (IRP), filed in September with the NCUC and currently under review. The plan also calls for installation of 300 MW of battery energy storage on Duke’s system in the Carolinas, where it serves 2.6 million customers. The 300-MW goal represents a big leap for Duke. The utility has been testing battery energy storage for about 10 years, but has only 15 MW on its system in North Carolina and less in South Carolina. The Carolinas aren’t the only states where Duke is installing grid-tied, battery energy storage; others include Florida, Indiana, Ohio and Texas. Kuznar pointed out the Indiana Utility Commission recently approved Duke’s proposal for a 7-MW grid-hardening project, similar to Hot Springs, at a substation in Nabb that serves the Indiana National Guard’s Camp Atterbury training operation. 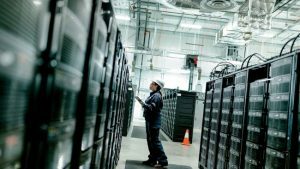 Separately, an unregulated subsidiary of Duke Energy is building energy storage and microgrid projects beyond the service territory of the regulated utility, including in Maryland and Massachusetts. Duke noted in its IRP filing (NCUC Docket No. E-100, Sub 157) that it is developing models to identify the locational value of distributed generation and more tightly link its distribution plans to bulk power requirements. The resource plan also reduces coal-fired generation from 29 percent of Duke’s portfolio to 18 percent by 2033. Meanwhile, the utility doubles use of renewable resources, energy efficiency and demand-side management from 8 percent in 2019 to 16 percent in 2033. Natural gas grows by 8 percent to become 32 percent of the mix by 2033. Customer preference motivates Duke’s investment in microgrids, energy storage and other forms of distributed energy, according to the IRP. One of the nation’s largest utilities, Duke serves 7.6 million retail customers in six states. “We’re looking for these sorts of use cases where storage can be a more cost-effective solution, or in the case of the Hot Springs microgrid the only real solution. We think the costs of these emerging technologies are now at a point where they are a cost-effective tool for transmission and distribution planners considering making upgrades to the system when traditional solutions aren’t feasible,” Kuznar said. Track news about Duke Energy’s microgrid projects and grid modernization plans. 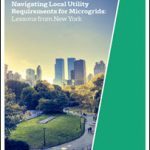 Subsribe to the free Microgrid Knowledge newsletter. This project could be done with more features and at far less cost and with more advantages if the planners contact Advanced Alternative Energy with an open mind and allow us to provide a position paper along with supporting evidence that they consider and give their attention to..
With the right tech approach; adopting the circular economy business model can boost renewable energy, cut greenhouse emissions, help many rural and urban people, villages, neighborhoods, towns, cities, counties, companies and institutions and create hundreds of thousands (perhaps millions) of good paying jobs, boost infrastructure investments, cut bottom line Economic costs, reduce our excessive landfilling of waste, improve our overall Energy efficiency, protect our water supplies, and help enable the Environmental sustainability movement to spread far more rapidly among nations while reducing harmful global emissions and even doing so while keeping some coal and oil use in the energy mix. If we could; why would we not want to move more aggressively to the circular economy business model and power our energy needs on extraction of carbon from the Earth’s atmosphere instead of powering our energy needs by pumping more carbon into it? Due to global warming I think that’s the primary question we now face, and as an inventor and renewable energy technology developer I would like to offer a big, bold and obvious solution to many diverse problems that threatens life on planet earth. Over the next 10 years we know we will see major changes in where our energy comes from and how we produce, store and use it as we try to tackle the big trilemma of energy affordability, availability and sustainability. We also know big changes are being driven by many and diverse environmental and social pressures, and we know the choices we make now will affect us far into the future. Whether we admit it or not; fighting induced global warming and climate change will become an epic battle if we are to avoid dooming billions of our descendants to a far worse social, economic and environmental situation than that which we have enjoyed. So lets begin to think outside the box and innovate and create the innovative new weapons of war needed to fight induced climate change. AAECorp. is offering a new 3E technology concept that offers new solutions because we need to be innovative if we are to pass on a tenable condition to future generations. I’m hoping to put this new technology into production and license it to firms internationally that can put energy conversion projects based on this innovation into production in countries all around the world, and in that way spread its application quickly and widely enough to have a positive effect on human induced global warming before it becomes too late to make any difference. Unlike solar, hydro, nuclear and wind energy, renewable energy from diverse biomass and wastes can be dispatchable and even carbon negative and therefore help the whole world resolve the global warming problem through adding new concept innovations in stand-alone, distributed, microgrid and grid-tied energy delivery systems that serve humanity’s long term interests much better. Global warming has a lot of fake news press supporting it. Most ‘alternative energy solutions fail the total carbon test that takes into account the energy that is use to come up with the infrastructure that is necessary to make these solutions work. Please read the write up I did detailing the features of a micro grid solution that few people are aware of. It features a cheap infinite charge – discharge cycle life. If you find this statement too hard to believe, please suspend your disbelief long enough to read what we have to say about our product. Solar power promises have been around for a very long time and the grand possibility of reaping all that “free” energy from that virtually inexhaustible energy source seems to make a lot of sense. Despite a great deal of government subsidy, dedication and invention, it has proven to be just barely possible from a business point of view after several decades of intense effort. Even though governments around the world have sought to smooth solar energy infrastructure development resulting in great strides that have been made in solar cell manufacturability and efficiency, we still have difficulty providing cheap 24/7 power that comes from solar sources. 2)	Solar installations must store huge amounts of energy to make up for the off time when the sun is not shining. This energy storage and its reuse typically involves many efficiency robbing energy state conversions that produce unrecoverable energy losses. a)	The most pronounced of these energy state conversion losses is when direct current (DC) energy produced by photo cells is converted to the chemical energy storage process of a battery. There is very significant energy dissipation during BOTH the charge and discharge cycles. b)	In addition to the above major loses there are the efficiency loses involved in necessary power conditioning complexity which protects both the solar cells and the storage batteries. c)	The final loss category comes from taking the DC power of the batteries and delivering it as alternating current (AC) electrically pure enough for use in our familiar house hold and industrial settings. 3)	Collector efficiency – In addition to the above energy processing steps which effectively waste a very big chunk of the energy that comes from solar cells, there is the matter of the solar cells themselves. At this mature point in the life cycle of this high-tech semiconductor development it is not likely that photo voltaic (PV) solar cells will see radical improvements in conversion efficiencies, durability or reliability anytime soon. 4)	On ‘big sun’ days the extra radiation hitting a PV cell causes it to heat. Increasing the temperature of practical photo cells decreases their efficiency. a)	A solar farm design focused on collecting heat which then can be subsequently converted to electricity does not loose efficiency on a high radiation day, in that case higher temps yield higher system efficiencies. I believe we have laid out in the most dispassionate way possible the reasons why the large scale solar power electricity providing installations around the world are far from being as cheap and reliable as existing solutions that utilize nuclear, hydro or gas/coal. They are far too complex to reliably provide 24/7 unattended utility. Unless a genuine paradigm shift appears, solar power will continue to levee an unacceptable burden on the world’s economic systems. Please consider with us the reasons why we think that the Cyclone Microgrid development is that necessary paradigm shift which will fulfill the original dream of cheap, reliable solar power. We believe our engineers have arrived at the ultimate design – It is as simple as possible, but not simpler. It is future proof. 1. Our microgrid solution utilizes solar troughs that easily protect themselves from weather extremes and track the sun to maximize solar heat collection. 2. For energy storage this system stores the gathered heat into a proprietary thermal exchange medium. 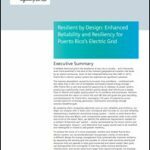 This storage provides unprecedented system reliability from a widely flexible design volume. This medium is compatible with the elevated temperatures of solar heat collection as well as maintaining system functionality under extreme cold conditions. Energy storage sits at atmospheric pressure in the collector troughs and the large insulated energy storage tanks. Tanks that provide reliability granted by a week’s worth of energy readily available to the system’s Rankin cycle engine. 3. The final, enabling, technology is a ‘designed for the 21st century’ high efficiency Rankin cycle heat engine. The 1200+ degree F heat gathered by the solar collectors powers the engine. Operating this machine with this extremely high input temperature/pressure is key to this engine surpassing the efficiency of the massive turbines used to get electricity from the heat produced by nuclear power. Normally Rankin cycle energy converters are limited by the maximum temperature conventional lubricants allow. This engine utilizes the characteristics of liquid water to lubricate its moving parts. Taken by itself this innovation greatly increases the power density over previous similar “steam” engines because it removes the upper temperature/pressure limit imposed by lubrication requirements. The water in the system is closed loop and, since properly designed hydrostatic bearings have infinite life, closed loop working fluid/lubricant also removes the variability of contamination and missed maintenance cycles. (None needed!) The output of the engine drives a standard alternator which provides high purity AC power with no need for elaborate power conditioning. The AC output of the alternator is the first place in the system to require any processing of electrical power. Energy state conversion efficiency. Efficiency by simplification. 2. The most visible energy state conversion of this system is from stored heat to electricity coming from its alternator. The engine/alternator energy state conversion efficiency exceeds the photon to electricity efficiency of practical solar cells. Energy storage, capacity and energy cycle life. From the point of view of energy state conversion efficiency, bulk energy storage in this system imposes no penalties except pumping losses to move the thermal transfer medium around. The temperatures needed to be present in this system for it to work must be high enough to run a high temperature Rankin cycle heat engine. (1200 degrees F.) As a result, heat leakage restricts storage of energy in our tanks, measured in days, not multiple weeks and certainly not months. That said, the major objection to providing solar energy for grid use is that it quits when the sun goes down. Useful energy storage of a couple weeks is a perfect fit for this system. In an economical design example, energy storage tank capacity conveniently can be set to be enough to sustain full electrical output with solar collectors shut down for 5 days. (120 Hours) Additional constraints such as accepting energy from other intermittent energy sources can be accommodated by adjusting the designed storage capacity. Batteries that are discharged every day, especially if deep discharged, exhibit a very short life. Since we are storing energy as heat, no charge/discharge fatigue characteristic exhibits in this system. In extended low sun conditions other sources capable of supplying temporary sources of heat will enable indefinite sustained power. Heat from these sources can be more varied and will have cleaner, more ideal fuel utilization than diesel generators. The solar collection troughs are designed to protect themselves from high winds by rotating their normally sunward side towards the ground and then automatically closing the distance at ground level to make the installation hardened against extreme storm conditions. In most cases it should be possible to recover from a CAT5 storm event automatically, all while supplying power during an extended storm. Surfaces that allow light to get into the solar troughs can be configured to have dedicated hardware that automatically cleans to maintain peak efficiency. The excess energy storage capability of these units can be utilized by adding heat to them with resistive heaters when grid energy costs are low and conversely, send excess microgrid generating capacity to the power utility grid during high demand, all to assist them in load leveling. And making a little money in the bargain!